Love them or loathe them, hardware clones of vintage gaming platforms are here to stay. Technical wizards operating on the fringe of the gaming hardware arena are constantly dreaming up new products which ape the performance and feel of classic consoles, and in the past few years we've seen imitations of the NES, SNES and Mega Drive - as well as some hybrid systems which play games from multiple platforms, like the Super Retro Trio and the RetroN 5. 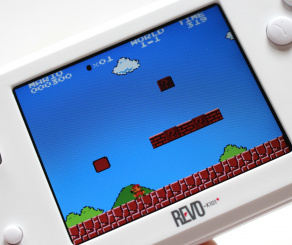 If you're already familiar with the wacky world of clone systems then the name REVO K101 will already be known to you. 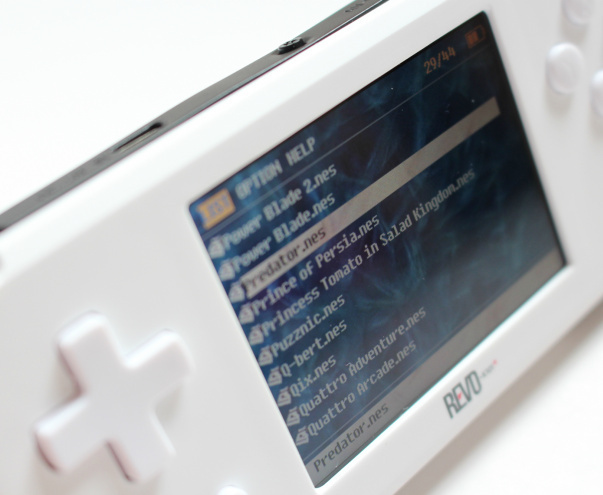 It's a clone of the Nintendo Game Boy Advance that follows on from the K1 GBA SP, and not only allows you to run original GBA carts but also supports ROMs, as well as very basic emulation. The system launched back in 2012 to a rather mixed reception - it was plagued with bugs and issues - but more recently it has been enhanced and re-released in a new "Plus" guise. 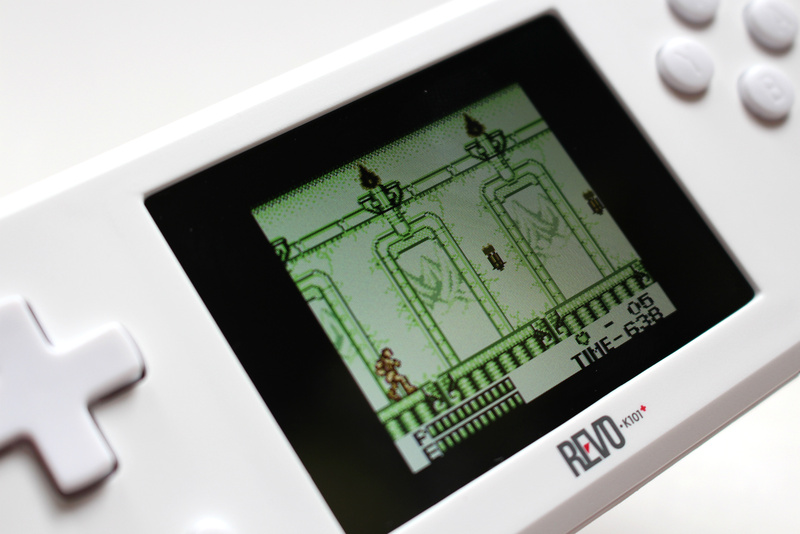 With a low retail price and above-average compatiblity, this is a piece of portable hardware that is certainly worth considering - if you're willing to overlook the murky world of ROM distribution, of course. 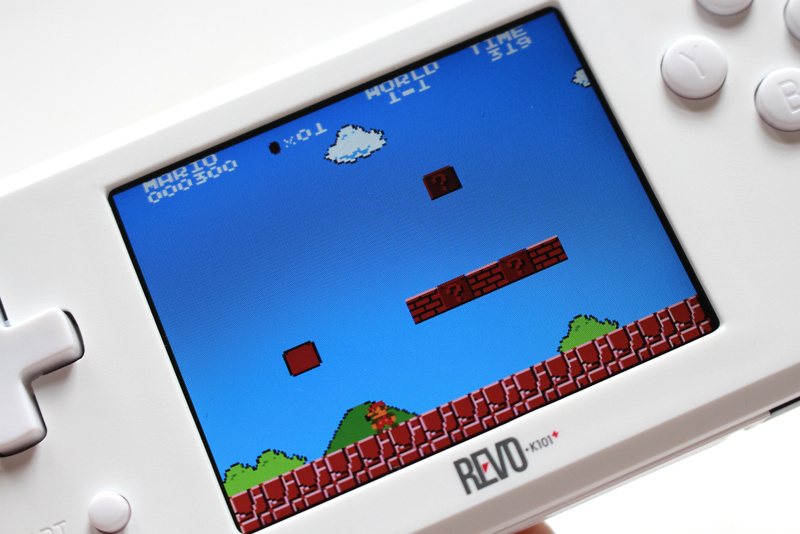 The REVO K101 Plus isn't an expensive machine - it costs $69.99 - and that cheapness shows a little in the build quality. 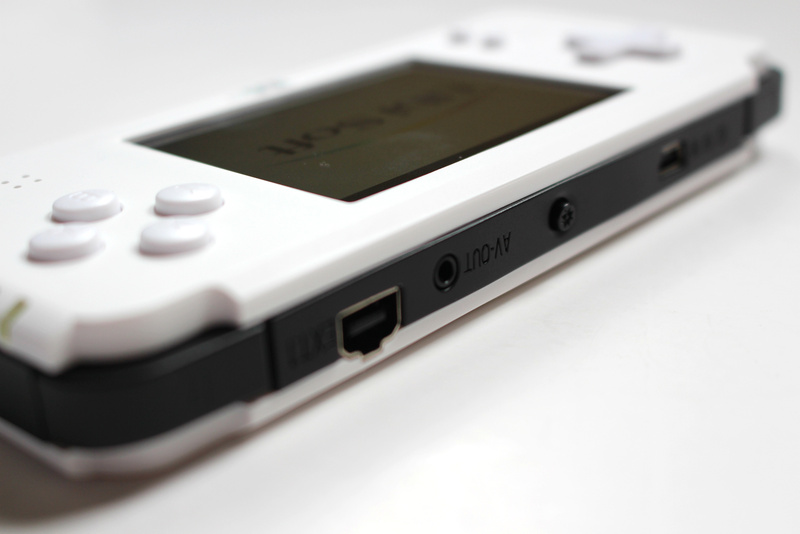 It's not on the same level as Nintendo's portable hardware, but that is to be expected - Nintendo is a massive company with years of manufacturing experience. 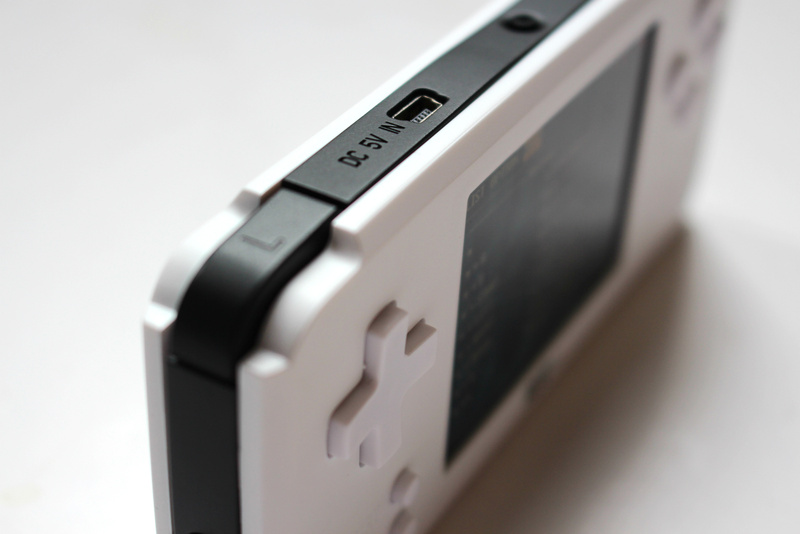 Our review unit felt solid enough, although we noticed that the top of the casing - where the black plastic band meets the white front and back portions - bulges slightly, presumably because of internal components pushing against it. The buttons feel spongy but they're perfectly responsive, and while the D-Pad has a lot of travel but we didn't have any issues when playing intense action titles that required quick response time. The L and R shoulder triggers are perhaps a little too "soft", but again, they respond well to input so it's not that much of an issue. The console's screen is uncommonly bright for a system that costs such a small amount of money, and while viewing angles could be better, we found it a pleasure to use. The big issue here is that it boasts a higher resolution than the original GBA, so running games full-screen means you have to put up with distortion and fuzziness. It's possible to play games in a smaller window which matches the GBA's original resolution, but that involves a massive black border around the image. Another disappointment is the sound - the console's single speaker is quite tinny and discordant, and too easy to accidentally cover with your thumb during play - it's located directly below the diamond-cluster of face buttons. On the top edge of the console there's a brightness button which can be used to cycle through preset brightness settings for the display. 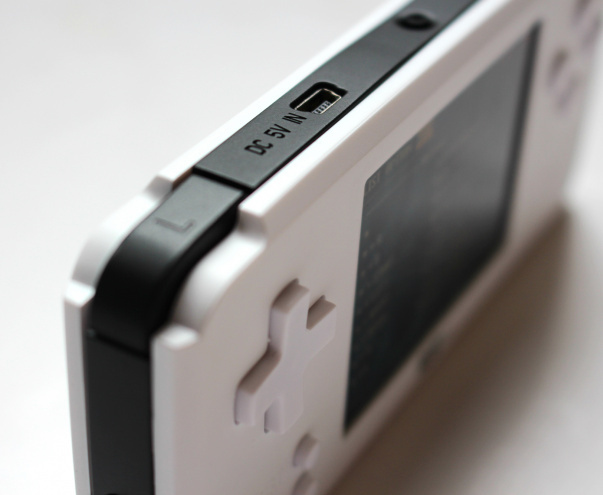 Using this button with various other inputs activates other settings - such as toggle between the three screen resolutions, backing up save data to your microSD card, putting the console into sleep mode or dropping back to the K101 Plus' menu when not using a standard GBA cart. 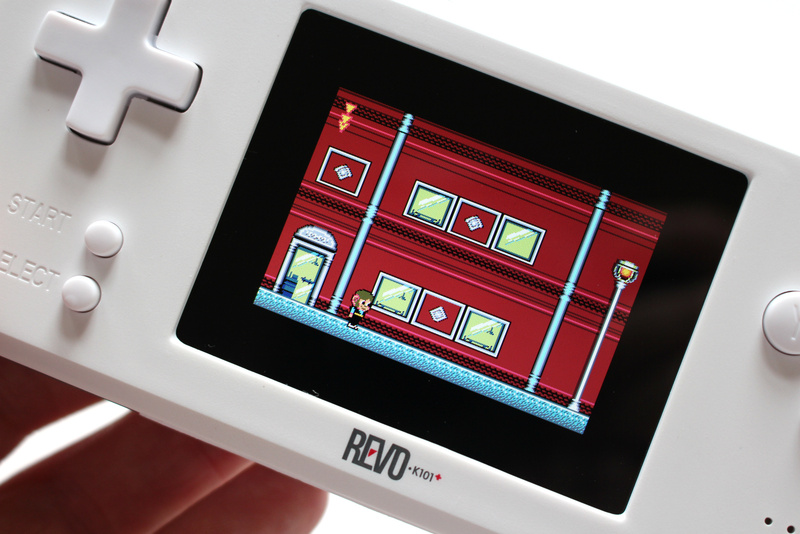 The REVO K101 Plus features a standard GBA cartridge slot and will therefore play GBA games. The manufacturer boasts 100 percent compatibility, and while we're naturally not in a position to test that claim, we didn't experience problems with any of the GBA games were threw at the machine. Performance was perfect, both in terms of visuals and audio. The console is also able to emulate the "Real Time Clock" aspect of the original GBA system, where a battery was used in titles like Pokémon Ruby & Sapphire to simulate the passage of time within the game itself. 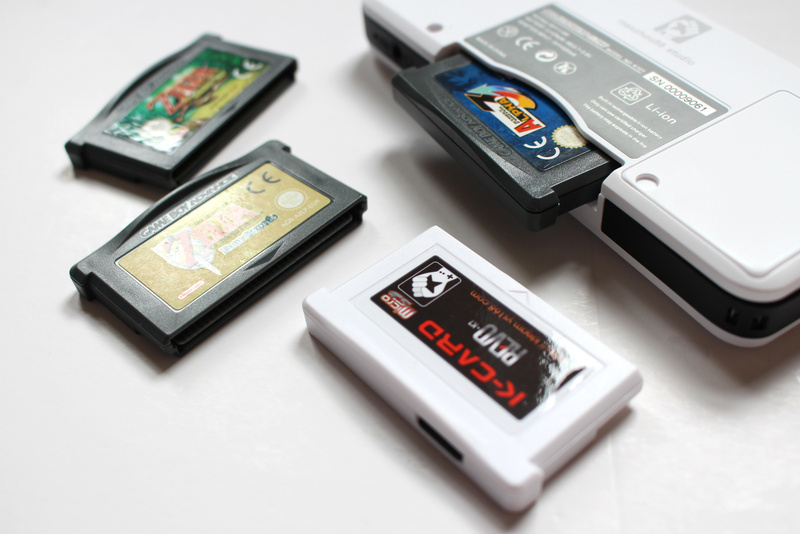 However, this is all just one side of the system's GBA support - a more attractive element for retro gamers will be the fact that the console comes with a special K-Card cartridge that boasts a microSD card slot, thereby granting access to ROM support. When you boot the K101 Plus with a standard GBA cart, it loads just like it would on a standard GBA console. 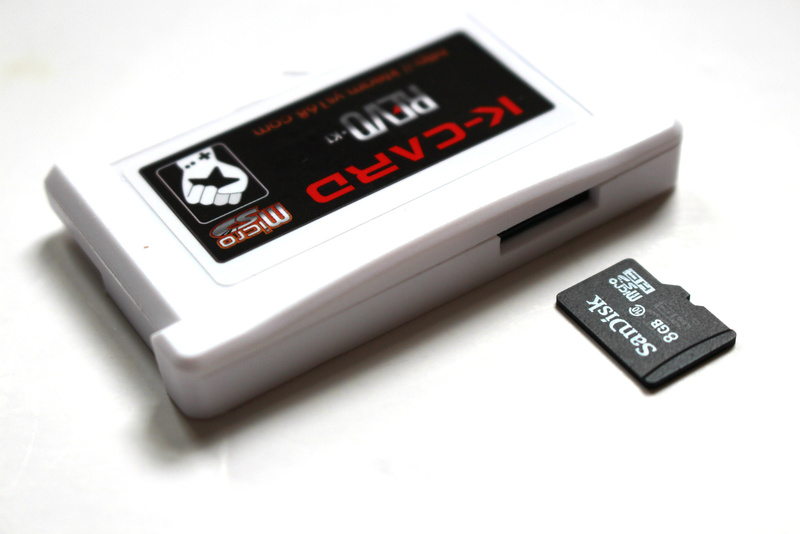 However, with the K-Card inserted, you're presented with a unique menu which allows you to load up ROM files not only for GBA games, but also for built-in emulators which cover the likes of the NES, Master System, Game Boy, Game Boy Color and PC Engine. 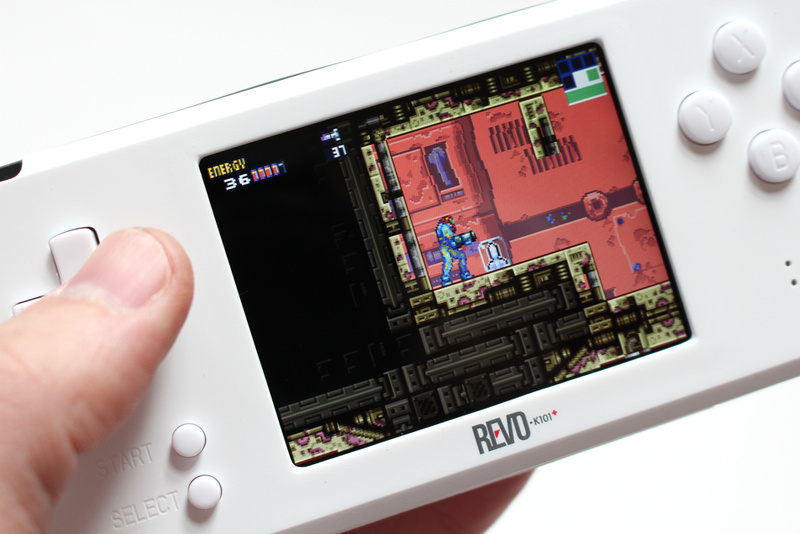 Sticking with the GBA for the moment, we again found the compatibility to be impressive. Games ran just as well as they would as if they were being loaded from an original cartridge, albeit with considerable loading times as the ROM data is dumped into the system memory. The emulation of other systems was a little disappointing; NES and Master System games suffer from skittish performance and ropey audio, while PC Engine emulation is so sluggish it's practically unplayable on some games. 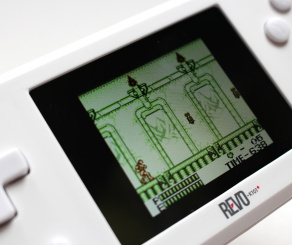 The primitive Game Boy is emulated more faithfully by the hardware, but in all honesty, we wouldn't recommend investing in this system as a means to experience such games - you're not getting a decent representation of them, and are much better off either tracking down the original hardware and carts or obtaining them via one of Nintendo's download services. The K101 Plus contains a 800 mAh battery which is good for about a day of use - we managed to squeeze around 6 hours out of the machine before it needed recharging, although we were running on the lowest brightness setting. Also in the box you'll find a set of cheap headphones and a TV-out cable, which links up the system to a television via a standard AV connection. It's a neat extra but when running these titles on a HD TV set, you'll notice the results are rather muddy and ill-defined. 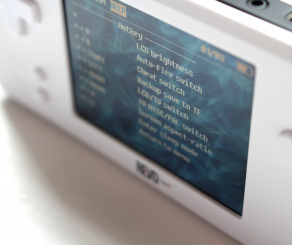 Finally, it's worth mentioning that the K101 Plus has an extension port which means it can be linked up with other K101 systems - and the original GBA console itself - for local multiplayer sessions. When you invest in a hardware clone, it's a good idea to leave any lofty expectations at the door. There's usually some catch or shortcoming which makes that bargain price seem a little more realistic, but in the case of the REVO K101 Plus, the shortcomings are far outweighed by the positives. If you're looking for a decent GBA system but don't like the tiny form factor of the Game Boy Micro - and can't afford the revised GBA SP AGS-101 with its superior screen - then this is a solid choice. 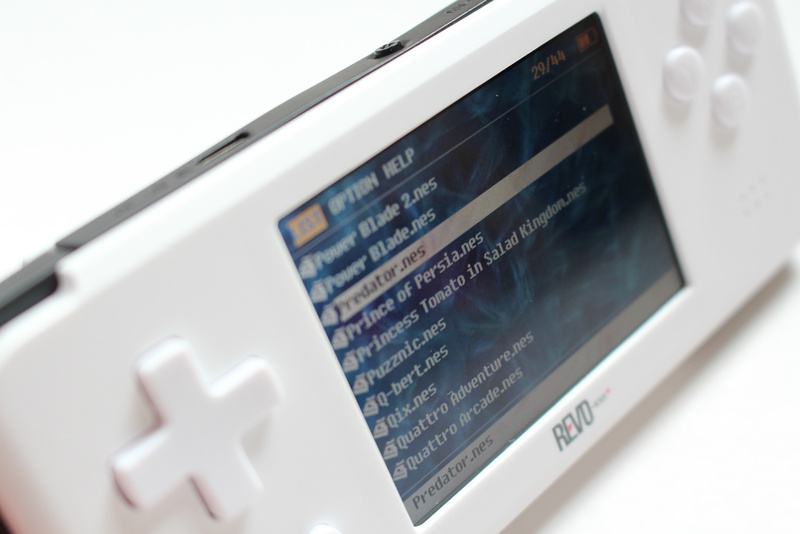 It allows you to keep your beloved GBA library alive and offers some neat extras - although we'll let you decide for yourself if the included emulation and ROM support put this particular platform on morally shaky ground. Review unit provided by www.k1gbasp.com. Great review! This sounds like a decent console, seems like the perfect size for my not quite man sized hands. I still have my EZ-Flash IV and GBASP and they haven't failed me yet. I'll just pass on this even though it's cheap. prefer to run the original gba sp - you can buy re-furbished ones that are like new for around $80. Works great if you have a supply of the old carts. I have about 150 carts. Eh... So the sound and graphics aren't great, controls work but don't feel good, and build quality is only so-so? When you can still get GBA SP consoles in good condition for similar (sometimes lower) prices it seems like this is really only going to appeal to people who actively want to emulate, not anyone who own actual GBA games. Nice looker. But the emulation thing isn't a selling point to me. 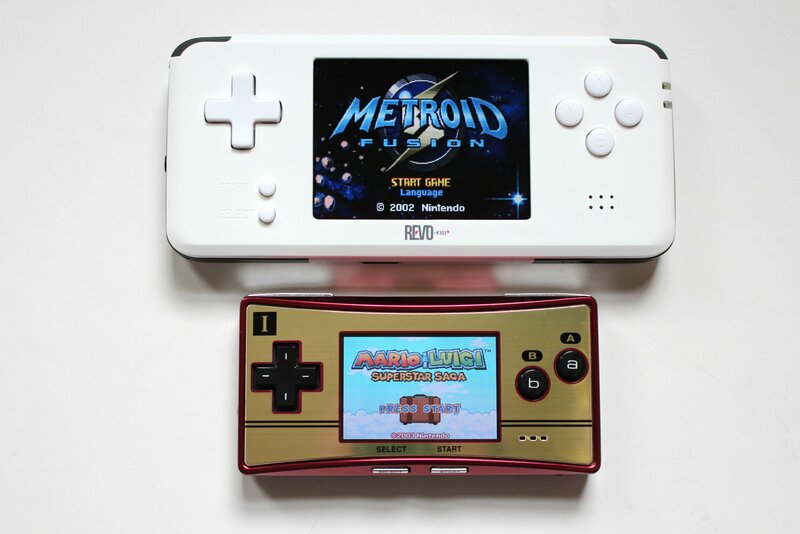 I'd prefer to keep my SP or even buy a micro, that are super slick. However pricey. I still have my slightly beat up GBA SP, but I hardly ever use it as the colours look washed out. 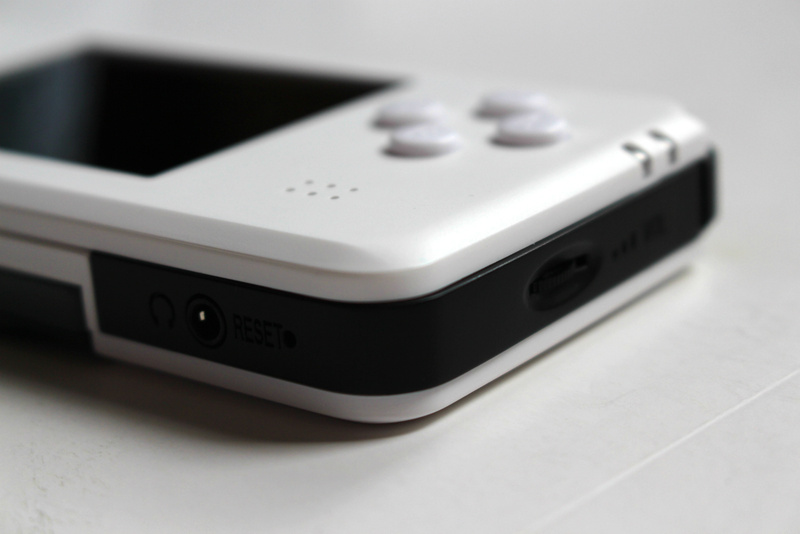 The DS is my handheld of choice for GBA gaming. I recently bought a GameBoy Advance for around $30 and an SP for about $40-$45. I don't think this $70 substitute is worth it...at least, not where I live. GBA SPs are not that expensive. If you get a loose system it will usually run you $50-80 depending on condition and brighter screen or not. Sounds like a decent machine though but I guess I just prefer the original hardware. I still can't recommend this to anyone. Especially since it's still possible to get an AGS 101 for less than the cost of this. I just purchased one of those babies. I think that the real problem is not finding used consoles, but finding used cartridges for a decent price. Yes, you can find plenty of cartridges for 5-10$, but at least where I live some of the games I'd like to buy are really expensive: 30-35$ for a used Final Fantasy VI GBA cartridge for example. I recent bought a gba sp from amazon, it's in flawless condition, not a single mark on the system. I kind of wonder if it had ever been turned on. Was $40 in that condition. Seems like these guys are pricing themselves way above market. @Cesco Usually with retro systems most games are reasonably priced but there's a few that were limited print and high demand so the price is higher. Square games tend to always be in the category but most other games are cheap. 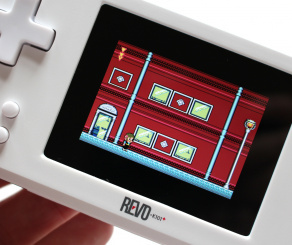 For those of you recommending the GBA SP over this, it's worth pointing out that the screen on the REVO is far superior. 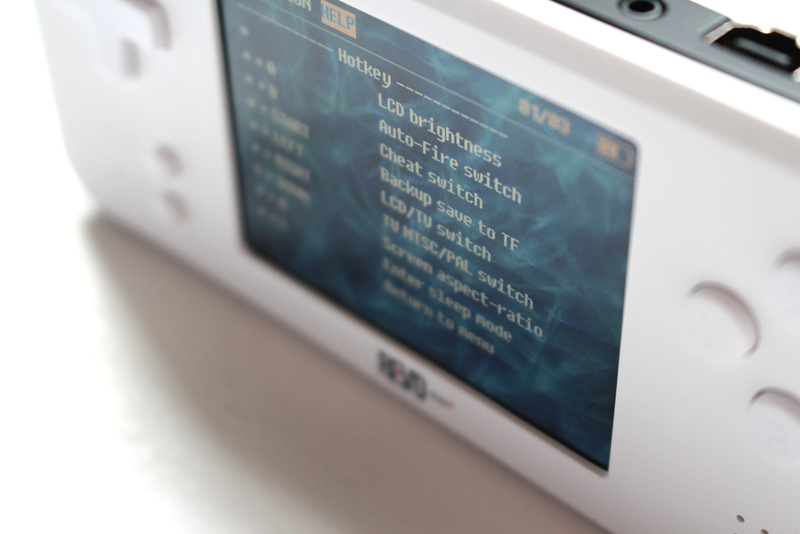 The GBA SP AGS 101 - the model with the improved screen - is pretty pricey these days. If it ran GB/C games (natively) and swapped the cartridge slot position, which would allow me to play Kirby Tilt N Tumble, I'd be very interested. Even without, this is kinda neat. I've been needing to get a GBA for awhile, maybe should look into this. You can get a used DS for that price tho. What a great system the GBA was. Even now, I still occasionally discover a new GBA game I want to play. Recently, I played Dragon Ball: Advanced Adventure and Kingdom Hearts Chain of Memories. I also have an untouched Advance Wars cart to try someday. I just bought a GBA SP2 (AGS-101) for around $40 so this system being $70 seems like a ripoff to me. 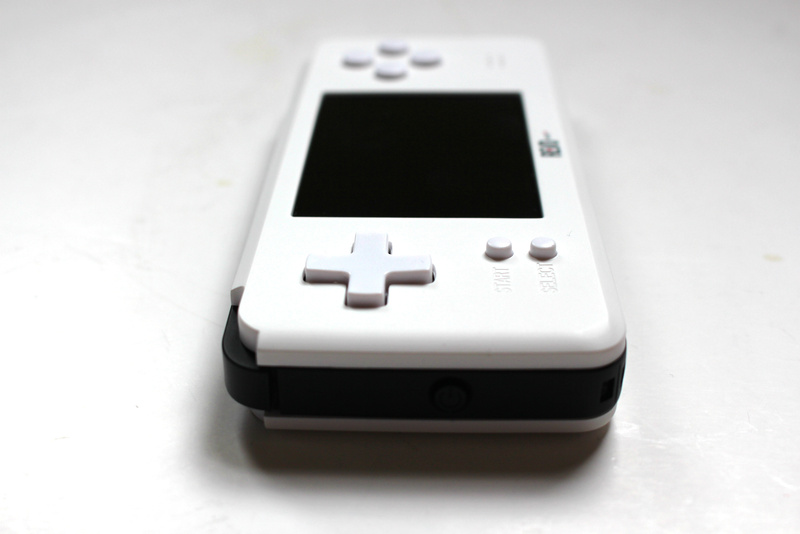 Interesting but GB Micro fits my GBA needs perfectly. Nice! This thing looks rad. 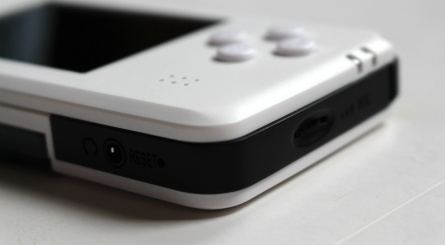 I wouldn't mind having one, but I kinda want the RetronN 5 first, so I don't have to dig out my older consoles. 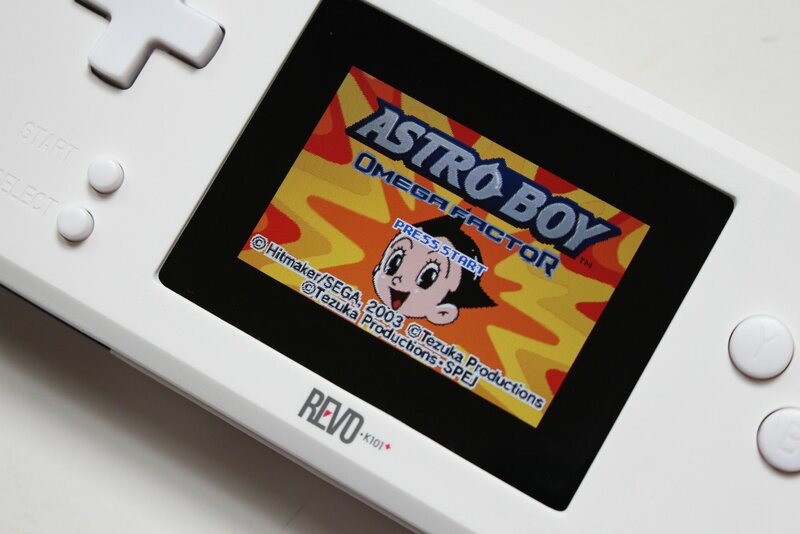 Il stick to my gameboy sp with the AGS-101 brighter screen and my EZ Flash IV if I want to carry my entire collection with me, and it won't be emulation but natively running in the hardware, I also have everdrive GB so I can carry my entire GB/gb color collection in my pocket. You can get a gameboy advanced sp for 25$ if you look hard enough, mine was purchased for 35$ but looks brand new not one scratch, and had screen protector day one, so a product like this would need to be no more then 50$ to do well and even that may be asking a lot. I do have a Portable SNES clone made by retrobit I think so I can use my SD2SNES on the go with my entire collection, it's a tad big but better then carrying 4-8 SNES carts on you. I am a collector so I have many games but I like to preserve them by not using them so flashcarts and emulation devices have been a godsend, and I see nothing wrong with it if you own the games, not to mention they are so convenient. 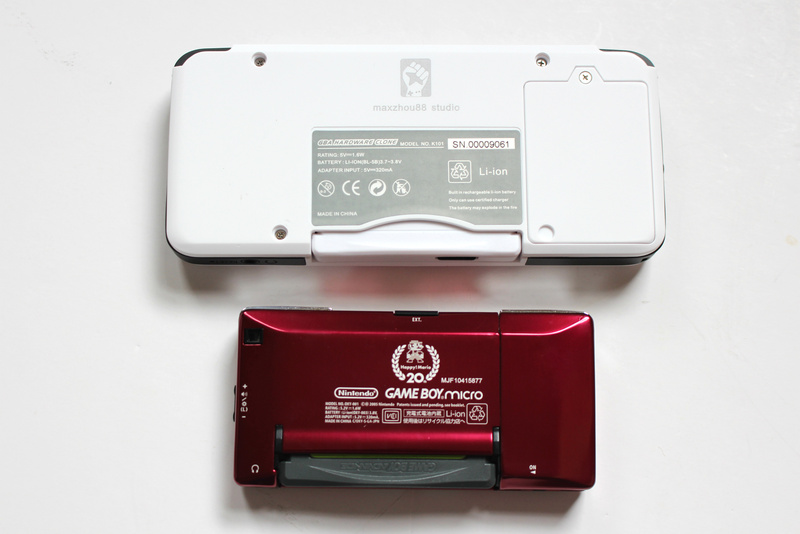 I really dont see the appeal in this since the emulation is crap, youre better off going with an SP or DS Lite for playing physical games or something like the dingoo if you want to emulate. "¯(ツ)/¯"
@Antdickens Your forums and contact forms aren't working on the Wii U browser anymore...the script keeps timing out on me. Is it hardware emulation or software emulation for the GBA games? uhhhh, so its a GBA clone thats more expensive than an actual GBA? @Damo The buttons are far worse though. Spongy buttons are always trash. Getting a lesser screen is worth it if the games play better because the buttons aren't mushy rubbish. It sounds pretty disappointing compared to the actual system. It shouldn't be very hard to track down a used GBA for the same price or less and get superior build quality (including buttons and sound), a proper resolution screen, and compatability with GB and GBC games. @Cesco So you'd rather just pirate the games, huh? By the way, the original SNES version of FFVI is still available on the Wii Shop for $8. @BulbasaurusRex Nintendo still refuses to sell GBA titles for the 3DS, and the market price for many used cartridges is keeped insanely high on purpose.. 70 bucks for an used Final Fantasy VI advance for example, it's the lowest price I found yesterday on eBay. I got my GBA SP on eBay for $30 a couple years back--a real steal as it's in almost like-new condition and game with a carry case. 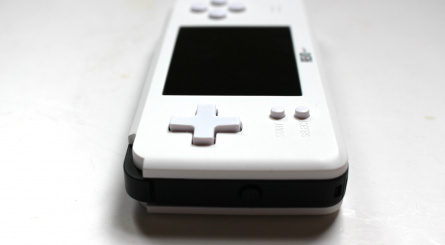 Why are people talking about how awesome used GBAs are for $30? I paid $29.99 for a brand new GBA SP from my local FYE. 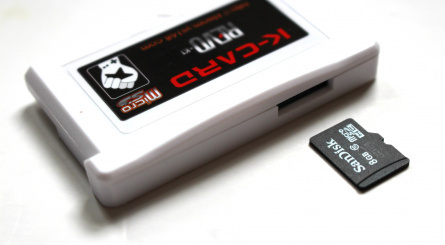 If you already have a GBA system, it's probably a cheaper idea to just get a flash card for it. Still, considering you get this system and the card for such a price, that's a seriously good deal. 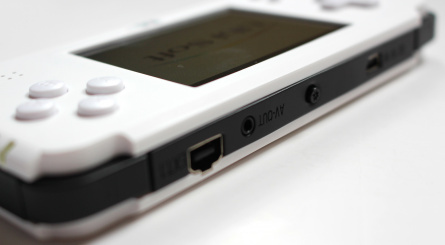 Is the DS Lite not a good option for some reason? I've always been really happy with how the DS Lite runs GBA games. @Cesco You're such a horrible person! How dare you want to play games that aren't manufactured any longer! @NTELLIGENTMAN Well, congratulations. Just because you lucked out and found one for a ridiculously low price doesn't mean everyone else can. give me a used DS ($20), Supercard DS Two+ ($40), 32GB micro sd card ($10) and I can have an NES, SNES, GB/GBC, Genesis, TG-16, GBA & DS and as many free games as i want for $70 also......so why would I settle for a dumbed down GBA that only plays GBA ROMs and carts ??? That emulation sounds good. Don't need to buy carts for games I don't have. Can play romhacks. Interesting. I just might have to get this.